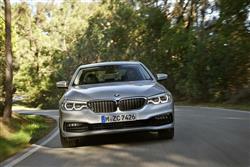 The plug-in hybrid version of BMW's 5 Series model aims to offer a credible alternative to diesel power in the full-Executive segment. Our Road Test Team see what's watt. The 530e is the petrol-electric plug-in hybrid version of BMW's hugely successful 5 Series model. With 249bhp on tap, yet able to return 141.2mpg, it may prove to be the perfect choice for some Executive-level company buyers. Retaining all the luxury of the standard car, but packed with clever electrified technology, the 530e falls under BMW's iPerformance banner, which brought us the i3 and i8. 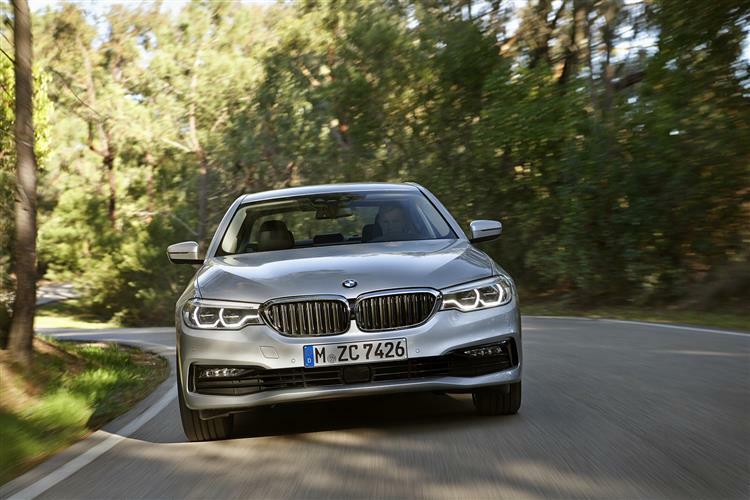 This seventh generation version of BMW's Executive-segment 5 Series contender is the first to get plug-in hybrid technology. It's a big step forward from the non-Plug-in engineering that featured in the previous MK6 range's disappointing ActiveHybrid5 model. Certainly, the fuel and CO2 figures of this 530e iPerformance variant look promising, though whether they'll be remotely achievable in normal day-to-day use is of course another question. Perhaps an even bigger question s whether plug-in technology is merely a stopgap solution until hydrogen fuel cell cars hit the market in a few years time. If it is, it's a very tempting one. Enthusiasts have bemoaned the fact that BMW's traditionally perfect 50:50 weight distribution has been lost with this car. Here, it's actually 47% front and 53% rear instead. That of course is down to the unusual mechanicals, a 182bhp four cylinder 2.0-litre turbo petrol engine mated to a 111bhp electric motor powered by a 9.2kWh battery pack under the rear seats. It all produces a combined output of 249bhp and drives through the usual 8-speed automatic gearbox, with 62mph possible from rest in just 6.2s. The top speed is 146mph - or 87mph on all-electric power alone. There's an energy management system that ensures a seamlessly and efficient transition between the petrol and electric motors. When braking, the car can harvest kinetic energy, which is the used to help recharge the batteries. Most of the time, you'll be driving the car in its 'Auto eDrive' mode which sorts out the ratio of electrified or fuel-driven motoring (there's up to 31 miles of battery-driven progress possible if everything's been charged up). If you want to keep things in milkfloat mode, there's a 'Max eDrive' mode option. You'll need to be eagle-eyed to spot the visual differences between this 530e variant any other, more conventional 5 Series models. iPerformance models like this one get unique styling to set them apart from the rest of the range, which includes BMW's traditional kidney grille getting blue slats. The wheel hubs are a blue alloy and eDrive badges have been added to the c-pillars. However, the biggest clue that this is a plug-in electric vehicle is the charging flap on the passenger side front wing of the car. Inside, the 530e gets an iPerformance menu called eDrive, which can help you save fuel and monitor battery reserves. You'll also find eDrive labelling on the door sills. Otherwise, it's business as usual. So there's a luxurious interior, dressed in leather and high-quality materials. You get BMW's iDrive infotainment system complete with optional gesture control. By using a 3D sensor, it allows you to operate it at the swipe of a hand or the pinching of fingers. The bootspace figure falls from the 530-litre capacity you'd get in an ordinary 5 Series to 410-litres. Should you choose this 530e over an equivalent 530d diesel model? That's the question many potential buyers will be grappling with. The 530e will actually cost you slightly less than its showroom counterpart, coming in at just under £42,000, once he £2,500 government Plug-in Car Grant is subtracted from the initial asking price. 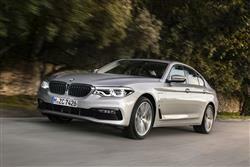 In comparison, a 530d costs from around £45,000 in base 'SE' saloon form. Like all 5 Series models, this one gets Dakota leather trim, a high quality stereo and a Bluetooth telephone kit, plus Apple CarPlay integration. And, as you'd expect, there's a wide choice of options. There are sports seats (standard on M Sport models) and 'Comfort' seats that can be specified with a Massage function: in both cases, soft Nappa leather and decorative contrast stitching are optional. The extra cost Head-Up Display system will be popular too, now featuring a projection area that's around 70% larger than in the previous model. 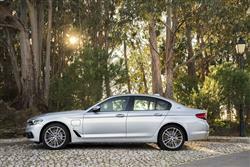 There are key changes with this generation 5 Series range with Driver Assistance systems. Dynamic and Active Cruise Control systems take the effort out of motorway trips and there's an optional 'Driving Assistant Plus' safety package that not only keeps you in lane but also includes an 'Evasion Aid' that helps you to deal with any hazard that might suddenly appear at speed. As you'd expect, the twin turbocharged petrol/electric hybrid engine used in the 530e produces impressive economy figures, with BMW claiming a combined cycle return of 141.2mpg. Coupled with this, is CO2 emissions of just 46g/km. 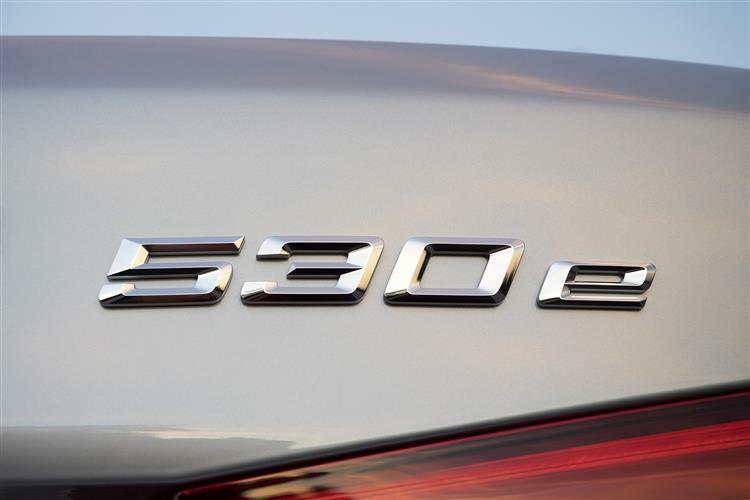 In comparison, a 530d diesel manages 60.1mpg on the combined cycle and 124g/km of CO2. This 530e model qualifies for the low 5% company car tax band too. Keep the car in its 'Max eDrive' mode and a claimed 31 mile all-electric driving range is supposed to be possible, but get the car on a motorway and you'll find that this is difficult to get anywhere near. The 9.2kWh battery pack under the rear seats can be charged in less than three hours. 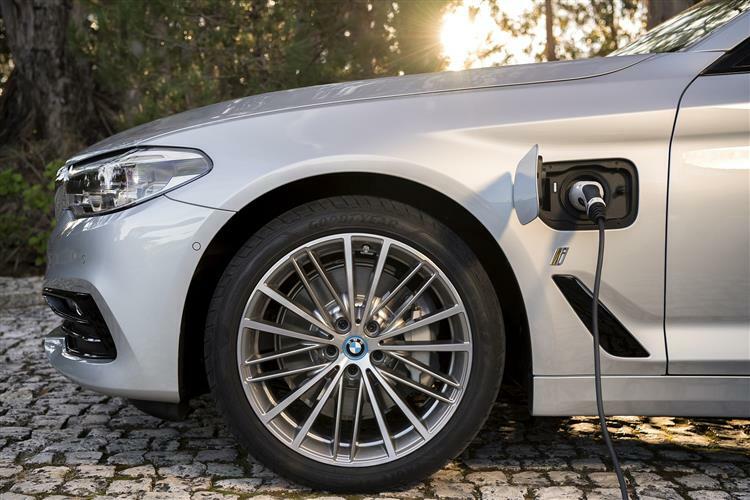 Adding flexibility to charging your plug-in model, BMW offers a charging device called a wall box, which can be installed at home or at work, to reduce charging time. Alternatively, you can simply plug your 740e into a domestic wall socket. BMW's ConnectedDrive app will help you find where the nearest charging points are when you are out and about. 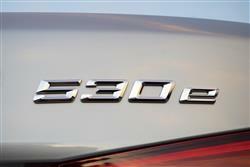 All BMW's come with a three-year unlimited mileage warranty. However, high voltage batteries get an eight-year 100,000-mile warranty. Residuals should be quite strong, the 530e likely to retain over 40% of its value after three years. 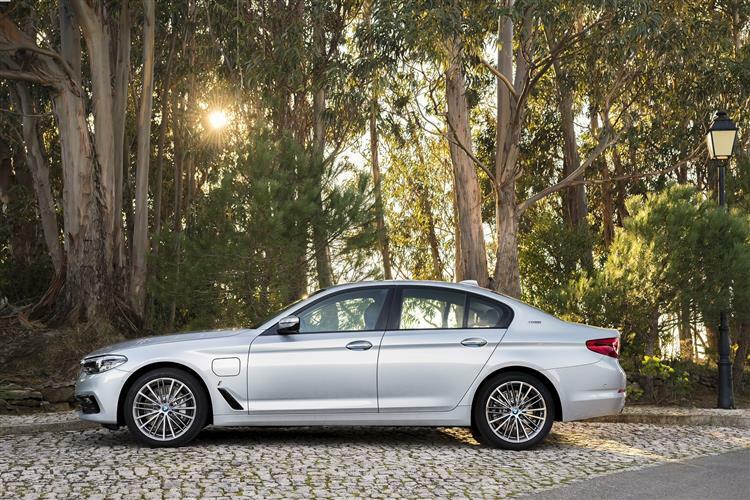 You're going to need a very specific set of circumstances to make 530e plug-in hybrid motoring work for you. Forget the incredible claimed combined consumption figure: in reality, you're probably going to be returning the same kind of regular consumption figure of around 40mpg that you'd manage in a comparable 530d. That diesel variant's lower weight means it would handle more sweetly. Plus it has a bigger boot. 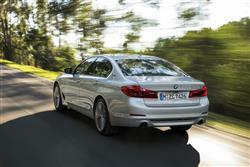 On the other hand, this 530e runs on cheaper fuel, will cost you less in BIK tax. Plus, if you've a short daily commute, there's real appeal in the thought that if you get your charging regime right, you should rarely have to ever visit a fuel station. It's a compelling thought.